The lighting fixtures for the house are a very personal decision that will not only influence the decor of the finished home, but are inspired by the design of the house in turn. Some houses with an up-scale look and feel might opt for elaborate light fixtures in trendy finishes or crystal chandeliers, while at the other end of the spectrum log homes might opt for rustic iron fixtures and wood or antler adorned lighting to create a lodge feel�. The options are nearly endless. We wanted our house to have a bright, but casual appeal, so we choose simple lighting designs with satin nickel finishes and white frosted glass. We choose the "Bedford Collection" from Progress Lighting for all of the fixtures. The ceiling lights are hung and wired to the gang boxes that were installed by the electricians prior to drywall. Each fixture is connected to a single switch or a series of switches throughout the house in the appropriate areas. Proper lighting is definitely beneficial in a number of ways. Having the right lighting fixtures will not only enhance the overall appearance of your room, it will also be practical. Thus, it is very important that you choose the right lighting features that you will put in every area in your house. Bear in mind that the key here is to find lighting fixtures of your choice that should always be able to fulfil the purpose for which you bought them. In this aspect, you should remember that style and functionality should always go hand in hand. The features that you should be looking for in lighting fixtures are listed below. As previously mentioned, the lighting fixtures of your home should be able to enhance the overall appearance of your home. Thus, they, themselves, must have an aesthetic appeal in the first place. In this regard, you must make sure that the color and style of the lighting fixtures that you will buy will match the colors inside the area you will install them. Meaning, the colors and style should go well with shades and the design style of the other pieces of furniture in the area. They should also be able to contribute to the overall theme of the area. Style should always go hand in hand with functionality. Thus, you have to make sure that the lighting fixtures you will buy will be very much functional. They should be able to fulfil the purpose for which you bought them. They should supply ample illumination and greater visibility for the areas where you will install them. 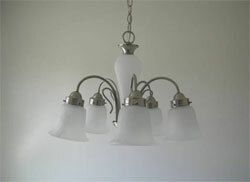 Another factor that you must consider is the quality of the lighting fixture that you purchase. Whether you bought a brand new lighting fixture or it was from the second hand shop, it should always be of high quality. The materials used to manufacture the product should be durable and well crafted. The lighting fixtures of your choice should be cost effective as well. Remember, a high quality and great lighting fixture does not necessarily have to be expensive. In fact, what you should do is find the best value for your money. Thus, you must find a lighting fixture that is within your budget. In the process, you should never compromise quality for price. There are many cheap lighting fixtures out there. You may have to look hard and long enough in the right places so you can find them. You will find lighting fixtures that will fit your budget needs as well as preferences. Finally, among the features that you should look for in choosing lighting fixtures are environmental friendliness and energy efficiency of the fixture. In this regard, it would be best if you buy a lighting fixture that has earned the ENERGY STAR label. This is an excellent assurance that the lighting fixtures of your choice have great features but still use less energy. In fact, they will only use a quarter of the energy used by traditional lights. Therefore helping conserve energy and giving you some savings as well. Make sure before you purchase lighting fixtures for your home, you visit your local lighting supply store to browse the many types of lighting available. It is always a good idea to see the lighting fixtures in person. By doing this, you will be able to determine the size of the light and whether it is appropriate for the space in which it is being installed. You will also want to consider whether it gives off the amount of lighting you will need for the area in which it is being installed.